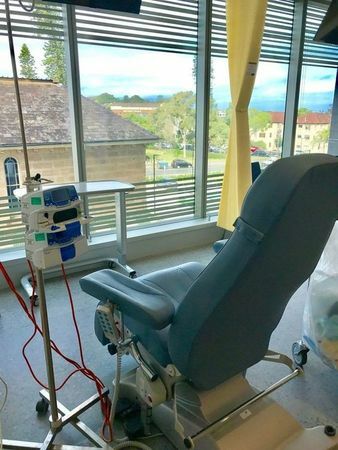 Dry July has funded new chemotherapy chairs at Prince of Wales Hospital. “Theses chairs are so much more comfy than the old ones and even better – each chair has a view outside and is easy to charge device from the chair so I was able to keep up with my studies and with friends even while I was getting my treatment”. 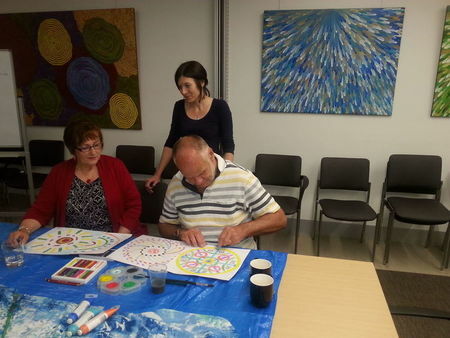 Thanks to Dry July, the Andrew Love Cancer Centre in Geelong has been able to offer expressive art classes as part of the Supportive Care Centre. Patient feedback on these sessions has been very positive. “The class has allowed me to share with others and helped me with ways to deal with things”. I have had the opportunity to work closely with the Physiotherapy Assistant on the Oncology ward. The program has allowed me try things I thought I wouldn’t be able to do, knowing she was there to support me and guide me through the program. 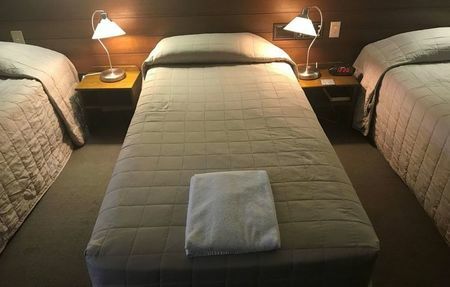 She was able to spend time with me to extend on exercises, allow me extra mobility practice and other therapeutic techniques such as yoga breathing and mindfulness strategies to gain confidence in my own abilities. I have appreciated her hard work, patience and knowledge. She is confident in her interactions and I have enjoyed working with her on a personal level. 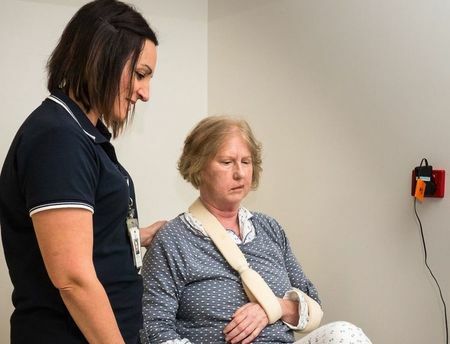 The patients on 5FS, Peninsula Health's Oncology and Haematology Ward at Frankston Hospital now has access to specialist massages thanks to the Dry July Foundation. McCrae local Ronald Carter who has blood cancer, says the massages have helped offset the side effects of his treatment. A guide to support services for Victorians affected by cancer. Finding the right support when they need it most is important to the overall wellbeing of cancer patients, families and carers as they manage the news of a diagnosis, treatment and life after cancer. The Cancer Services guide can help cancer patients, and their friends and family find support services that suits situation. Including over 470 services, any one, with any cancer, at any stage can find something useful in this guide. 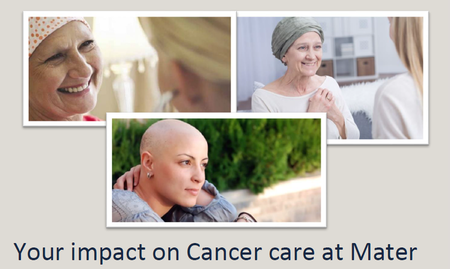 Cancer Council Victoria has released a new Cancer Services Guide, thanks to Dry July funding. This July, a dedicated group of fundraisers supported St Vincent's Hospital Cancer Centre through the Dry July campaign. This committed bunch raised a staggering $41,000 which will enable St Vincent’s Hospital to purchase a scalp cooling cap for patient’s going through chemotherapy. 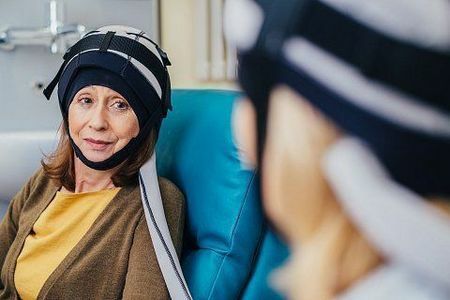 The scalp cooling cap reduces the risk of hair loss during chemotherapy. By decreasing the scalp temperature and blood flow to hair follicles, the cooling caps alleviate the damage of chemotherapy. This new piece of equipment will significantly transform people’s lives living with cancer by improving their self-confidence and dignity during this difficult time. During treatment, some guests often do not feel strong enough physically or emotionally to interact with other guests. Rooms become a personal haven for patients and their carers. 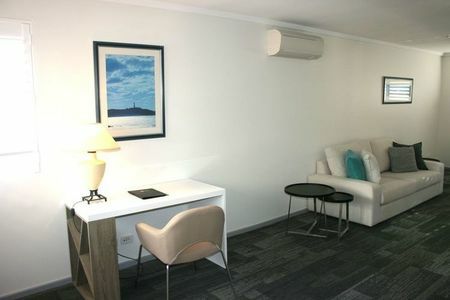 These rooms were in need of an upgrade to the linen and lighting. Hospitality grade soft furnishings have been chosen for service and wearability, whilst offering warmth, comfort and a sense of luxury. Lamps with a solid base will be chosen to ensure stability and safety.